Delicious, easy to follow recipes from around the world. 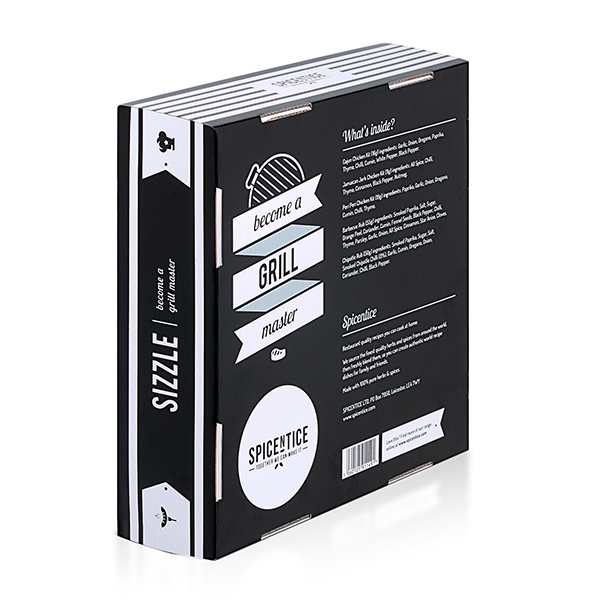 Just add fresh ingredients to cook up a tasty meal for 4. 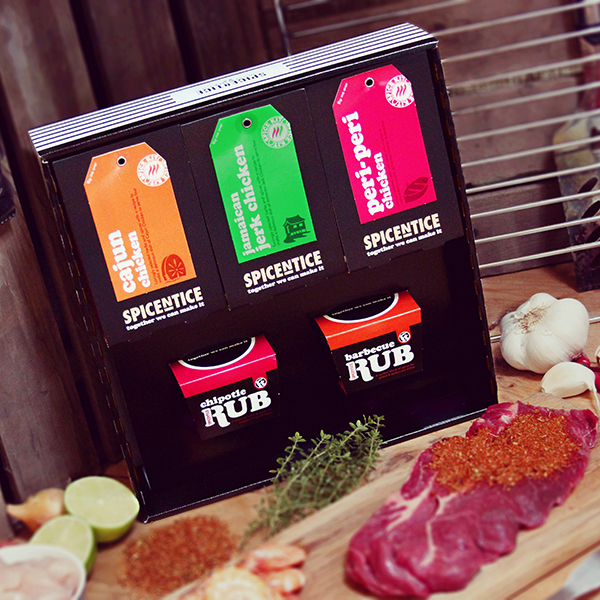 Cajun chicken spice kit contains: Garlic, onion, oregano, paprika, thyme, chilli, cumin, white pepper, black pepper. 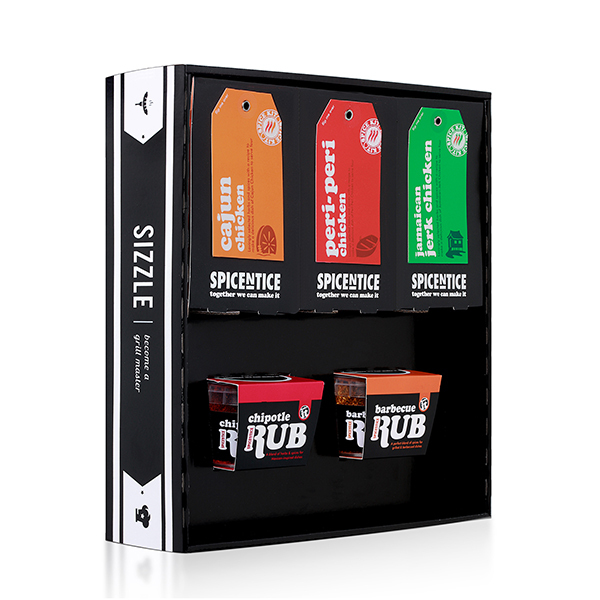 Peri peri chicken spice kit contains: Paprika, garlic powder, onion powder, oregano, cumin, chilli flakes, thyme, chilli. 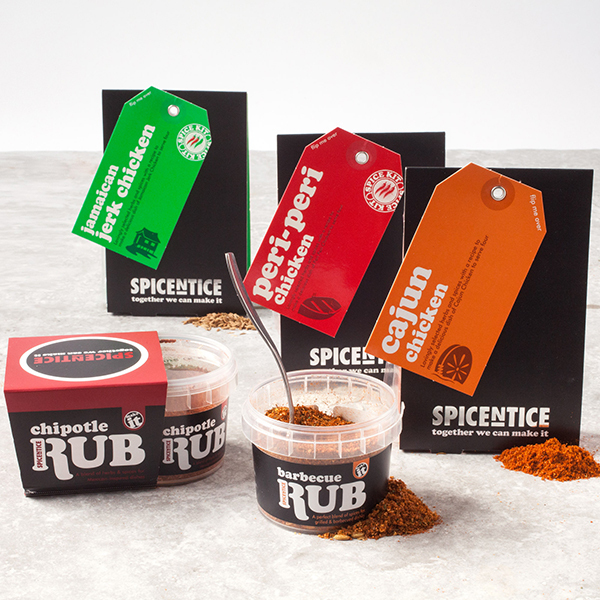 Chipotle rub contains: Smoked paprika, sugar, salt, smoked chipotle chilli (8%), garlic, ground cumin, oregano, onion, ground coriander, chilli, black pepper. 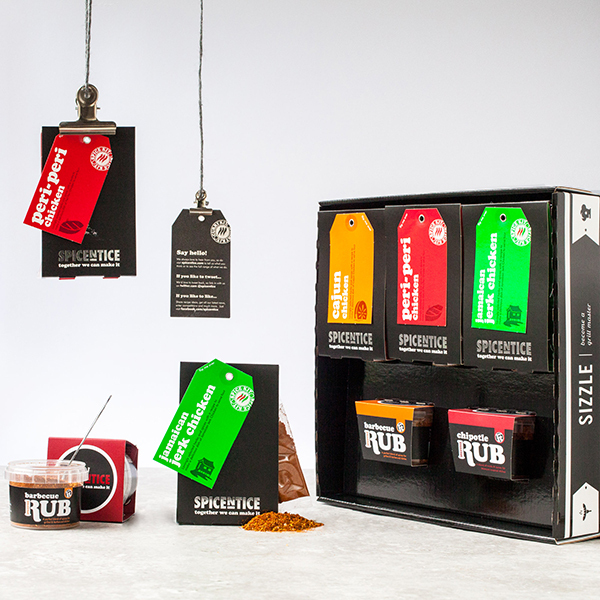 Barbecue rub includes: Salt, sugar, smoked paprika, orange peel, coriander, cumin, fennel seeds, black pepper, chilli, thyme, parsley, garlic, onion, all spice, cinnamon, star anise, cloves.